Band Expressions™ is a full-band curriculum that provides music educators at all levels with easy-to-use, exciting tools to meet daily classroom challenges and bring new vibrancy and depth to teaching music. The lessons were written based on the National Standards for Music Education -- not retrofitted to the Standards. The program is both music literacy-based and literacy driven -- based on music literacy while satisfying reading and writing mandates in band class. 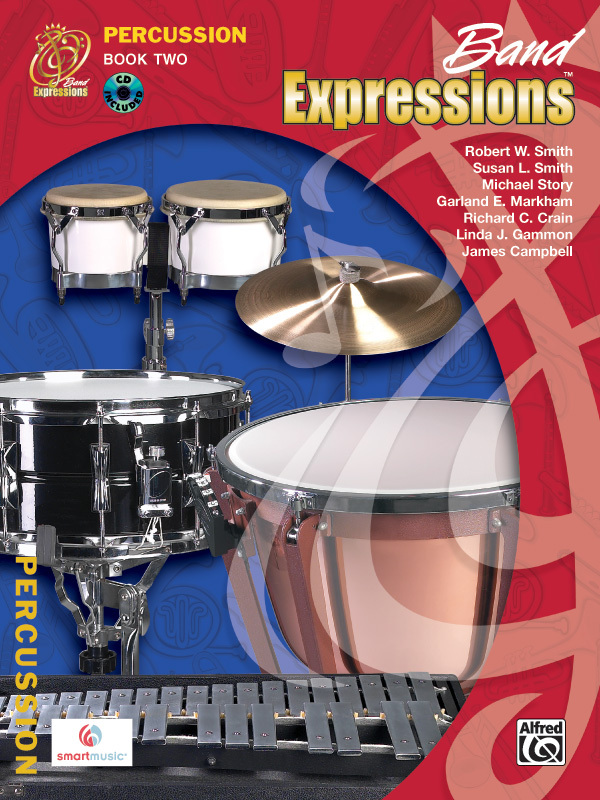 The curriculum features sequenced introduction of percussion instruments to allow not only traditional concert percussion, but also keyboard, accessory, and world percussion. Each student book features an attractive full-color interior with easy-to-read notes and includes: -A 78-track CD in each student book with accompaniments for various songs and exercises throughout the lesson book -Historical notes on some of the most notable composers of band music -A thorough glossary of musical terms Future reprints may be printed with black and white interiors. This title is available in SmartMusic.